While Visa handles 2000 transactions per second on average, Bitcoin can only handle only 7 transactions per second with a block capacity of 1 MB. Off-chain transactions using the Lightening Network only involve 2 entries on the main bitcoin blockchain — one to open a private ‘payment channel’ between two parties, and the other to close it out. A payment channel is a private channel between two users which allows them to transact with each other off-chain. Since the latest balance sheet signed by both parties is used to close out the private channel through a main chain transaction, the integrity of payments is maintained. 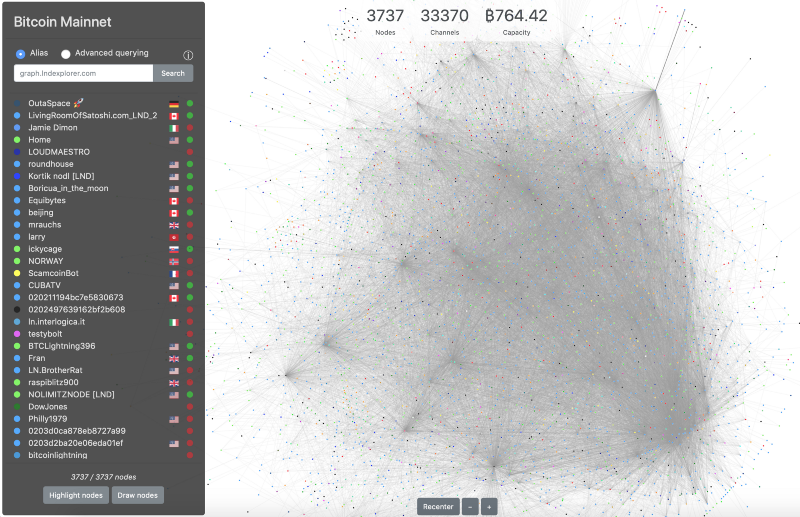 To better understand the Lightning Network, let’s assume you purchase lunch from the same cafeteria at work every day. This transaction is recorded on the main Bitcoin blockchain. However, now you have a private off-chain channel to transact with the cafeteria. Transactions using funds from the Multi-Sig account can only occur when both parties agree. The off-chain payment channel can be closed at any time by either you or the cafeteria. All you have to do is present the latest balance sheet signed by both parties and broadcast it to the main Bitcoin network. The private channel is closed out through a transaction that distributes funds your respective accounts on the main Bitcoin blockchain. One day, the co-worker accompanies you to the cafeteria for lunch. She wants to buy lunch from the cafeteria as well. 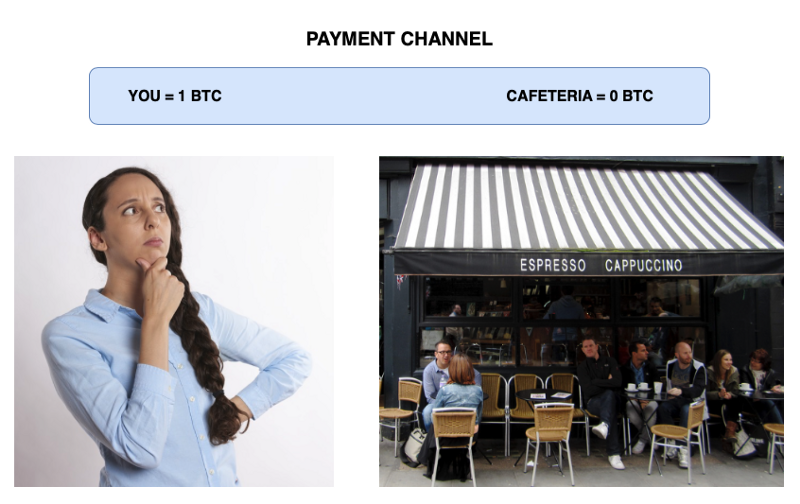 Rather than open her own off-chain private channel, she can transfer money to the cafeteria by using your Multi-Sig account as a go-between between her and the cafeteria (with all the appropriate balance sheets becoming updated along the way). If there are multiple people with Multi-Sig accounts between her and the cafeteria, the payment tries to get from your co-worker (the origin) to the cafeteria (the recipient) using the path with the fewest intermediaries and the least fees (as long as the intermediates have enough money in their individual accounts). 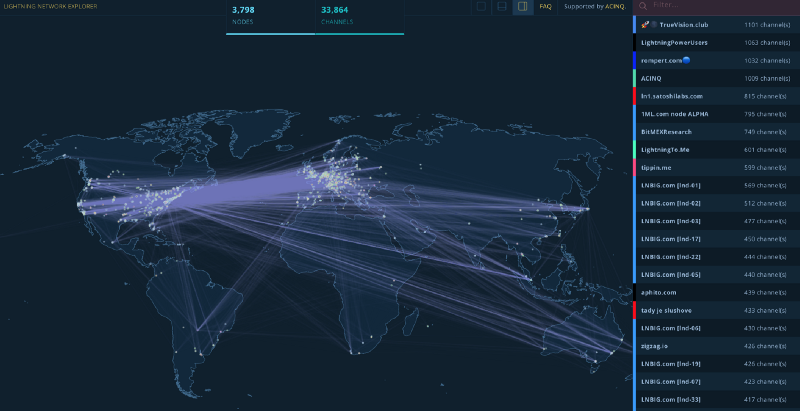 A transaction can thus jump through connected payment channels.